Joan developed this philosophy from over 45 years of her own personal health experiences and that of her family. 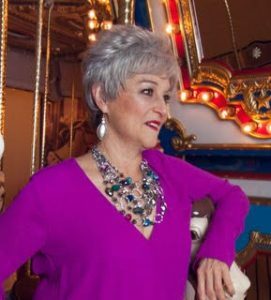 Joan’s journey in the world of complementary wellness care and taking responsibility for her own health took her from being 40 and tired, falling asleep at work, and gaining weight to 30 years later being a vibrant, energetic and fun-filled senior. She started her own health and wellness business after using alternative methods to regain her own health and moved into public speaking and health counseling since then. She has also worked with well-known nutritionists and physicians to expand her nutrition and health knowledge. 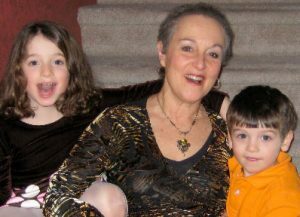 For many years Joan was a working parent as a CPA and Contract Servicing Analyst, then a Country Western dance teacher, and later a certified Wellness Educator and Nutrition Advisor. Life always takes its twists and turns and for Joan, there have been many twists that brought her to the balanced, forward looking woman she is today. Helping her former husband, who has Parkinson’s, has also led her to learning about care giving plus enhanced her knowledge of improving the health and slowing the progression of these types of diseases. Without the nutritional support, John’s Parkinson’s would have progressed much faster and he would not be as active as he is today. COMMITTED to prevention and education – finding answers first with natural health choices and reserving the use of pharmaceuticals for emergencies and critical care. Joan has a passion for helping others recognize their value and she emphasizes individual responsibility for one’s health plus gives solutions to make each day a vibrant, joyful one. She has just finished her first book, “Rock & Roll at Any Age, A rebellious look at life, health & spiritual wisdom”, strategies to be youthful, fun-loving, and healthy throughout your life. She is planning her next book on Self-care for the Caregiver, helping caregivers to survive and thrive through the difficulties of caring for another in illness.